The tulip table is the ultimate modern icon. 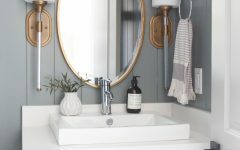 Its design is sleek, simple, and stylish and works well in any aesthetic. 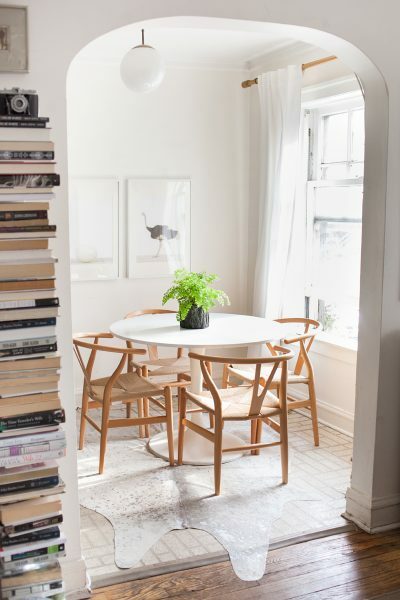 Want to learn more about what kinds of chairs go best with a tulip table? Keep reading to find out! 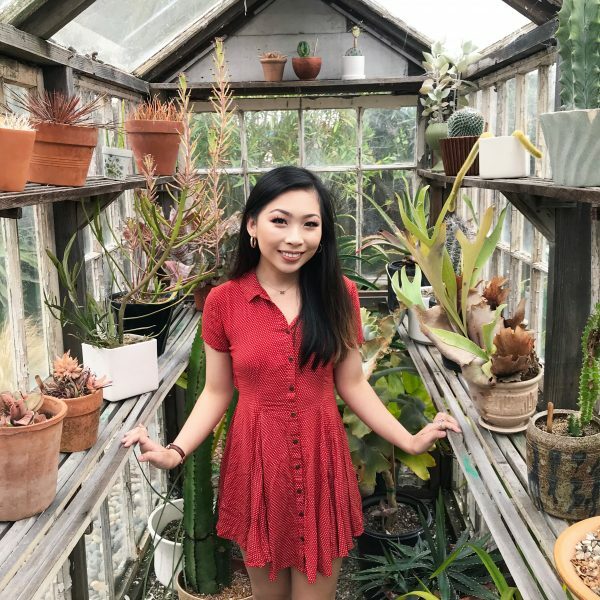 What is the tulip table? 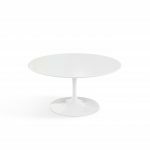 The tulip table is the brainchild of Finnish-American architect and industrial designer Eero Saarinen, who designed the Pedestal Collection for Knoll in 1957. 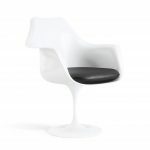 Saarinen was a forward-thinking modernist who was a pioneer in the neo-futurism movement of the late 20th and early 21st centuries. Neo-futurism represents a futuristic rethinking of the arts, design, and architecture with regards to aesthetic and functionality, particularly within the context of rapidly growing cities in the wake of the postwar industrial boom. 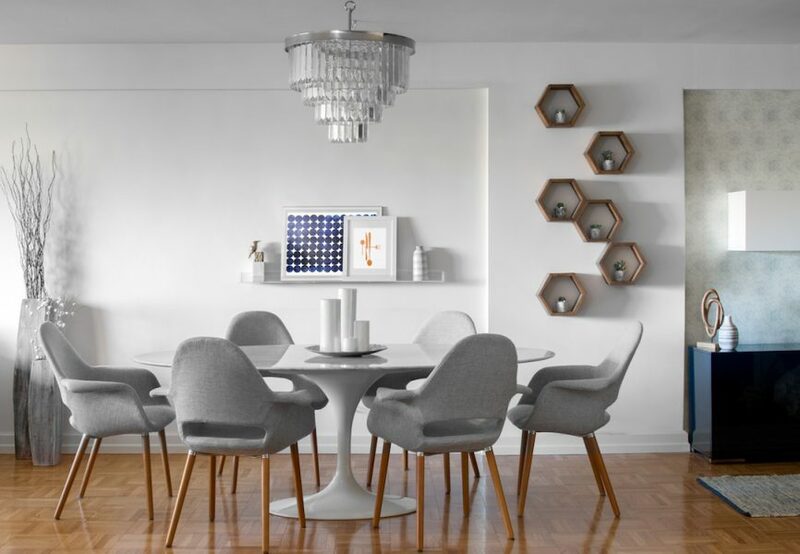 Saarinen thus created the tulip table, an instant hit, a classic icon, and an innovative and creative design. 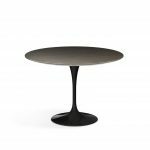 The tulip table has a round, flat aluminum base, a “stem” that acts as the table’s leg, and a thin, round/oval table top. He fixed his problem by creating a new table design with a slim footprint. 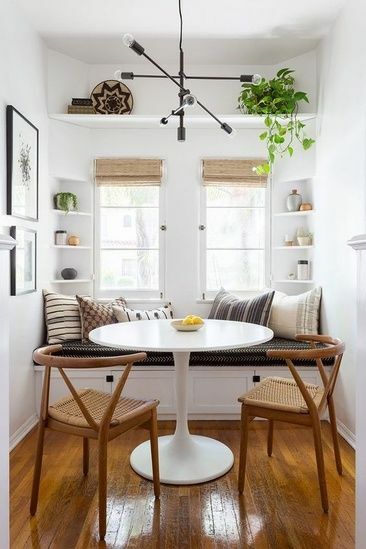 The single leg in the center, as opposed to your conventional, four-legged dining table, prevents overcrowding under the table and allows room for chairs and feet. 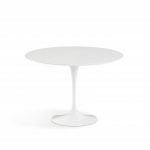 Modern and experimental, the tulip table is renowned for its simple, clean, and sleek design. 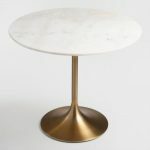 Tulip tables come in a variety of sizes, shapes, and finishes/tabletops, such as dining, coffee, and side sizes, round and oval table tops, and marble, wood, and white laminate. 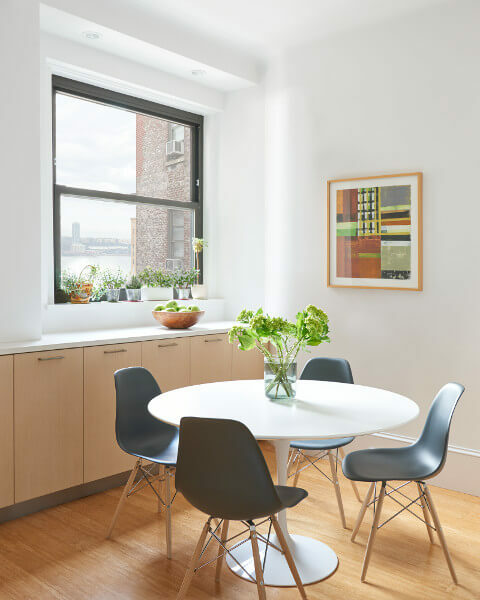 Because of its small footprint, the tulip table is perfect for smaller dining rooms or eat-in kitchens, and can fit into oddly-shaped corners and into every nook and cranny of your home. 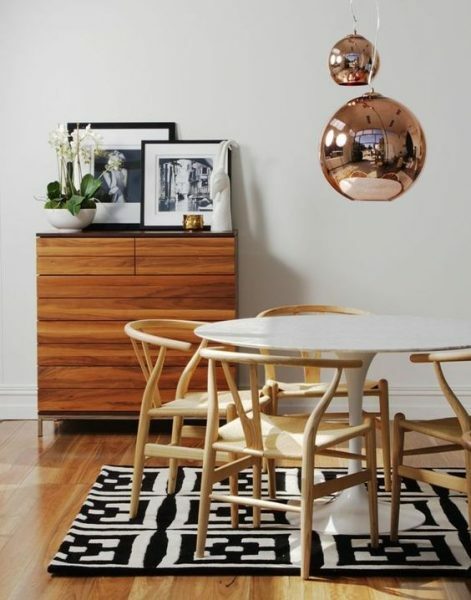 The design is striking, yet the table itself doesn’t take up a lot of visual space. 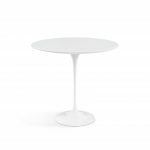 Although the tulip table is definitely a symbol of modernity, its versatile design allows it to work in various aesthetics. 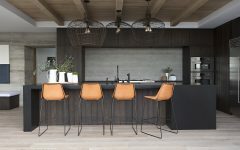 In particular, the sleek and slim design of the table allows it to seamlessly blend in with its surroundings, regardless of the aesthetic. The tulip table has a unique design, but a versatile aesthetic. The Pedestal Collection was an instant icon and important contribution to furniture design in the 20th century. 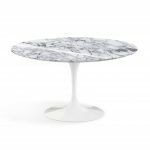 Highly coveted, an original Saarinen table by Knoll will cost upwards of $2,000, and more depending on the size and table top that you want (like a marble table top). However, affordable dupes do exist. 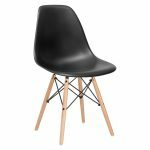 What chair should I pair with a tulip table? The tulip table can be paired with many different types of chairs. 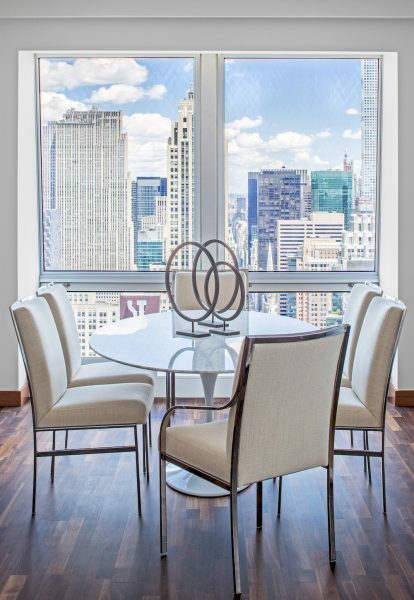 The versatility of its design and aesthetic allows you to mix-and-match your tulip table with any chair design. 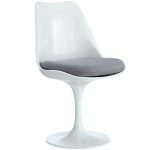 Saarinen designed the tulip chairs to go with the table. 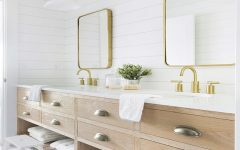 Obviously, the coordinating build and design makes for a complementary aesthetic. 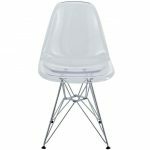 The tulip chair employs the same shape and materials as the tulip table. 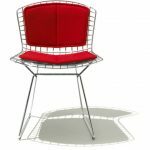 The base is made of cast aluminum, and the seat (often upholstered) is made of fiber glass. 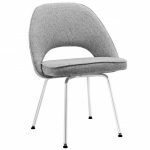 Tulip chairs also come in stationary and swiveling versions. 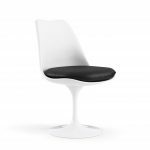 Paired together, the tulip table and tulip chair have a sleek, minimalistic impact and a futuristic, “space age” aesthetic. 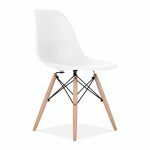 The wishbone chair is a popular choice to pair with the tulip table. 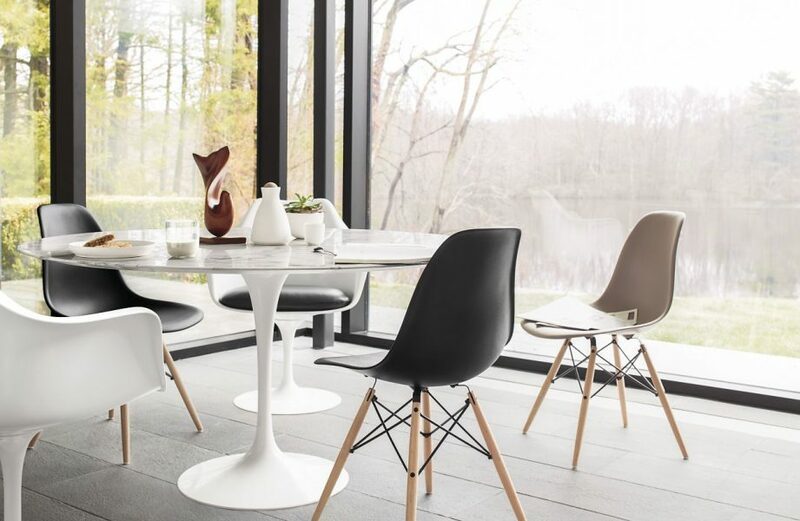 While the tulip table is a sleek, streamlined, homogeneous structure, the wishbone chair looks more intricate and delicate and breaks up the solid construction of the tulip table. 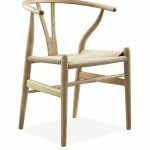 The tulip table also has a more modern aesthetic while the wishbone chair has a more traditional, farmhouse aesthetic. Together, this pairing creates a gentle contrast in both design and aesthetic. This duo is incredibly charming. 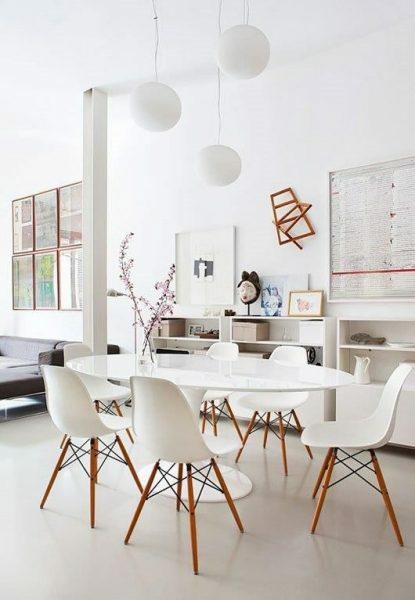 The Eames chair is a timeless piece that works in so many different aesthetics. 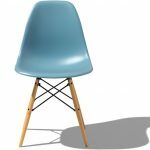 Hugely popular, while some people may be tired of seeing this chair in every home, there’s a reason why this chair is a fan-favorite. Its classic, modern, yet youthful and playful design complements the tulip table perfectly. 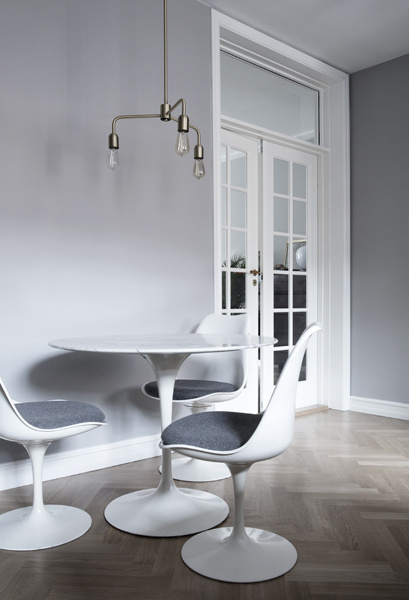 The curves of the chair subtly mimic the curvy design of the tulip table. Together, this duo looks perfectly clean and crisp. 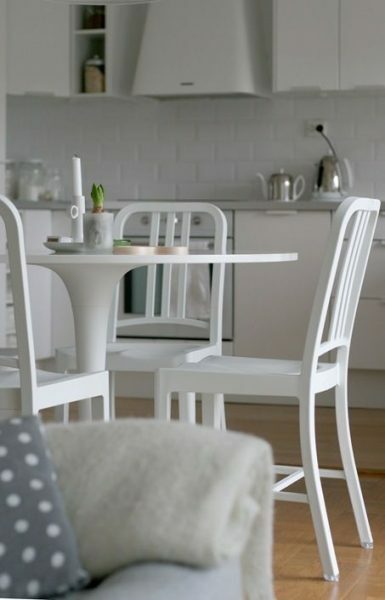 It’s also a great idea to mix and match your chairs. 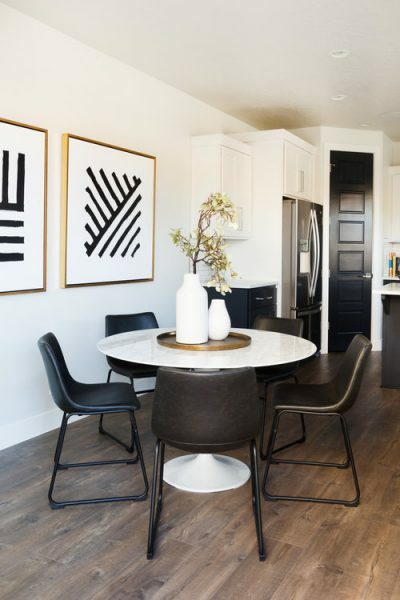 People have long mixed and matched their dining table chairs, but they typically have varying colors of the same style of chair rather than mixing different chair styles. 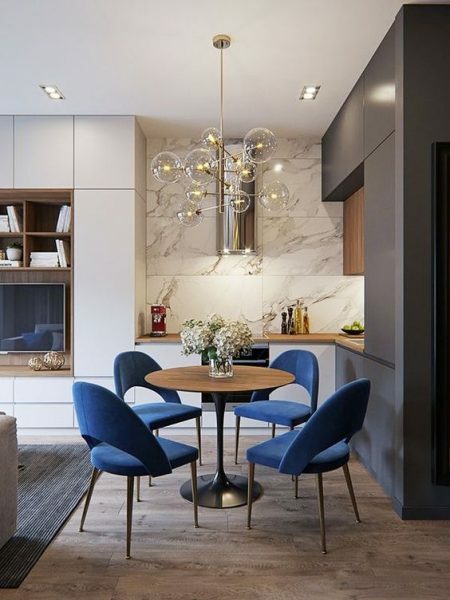 Mixing and matching chair styles is a good idea if you have a smaller dining table with a few chairs that surround it, so that the different styles of chairs don’t look too busy and distracting. 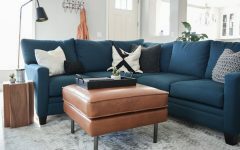 The tulip table is the perfect opportunity to be a bit more adventurous and to switch up your chair styles because its small footprint and organic, casual, and fun design complement this whimsical look. 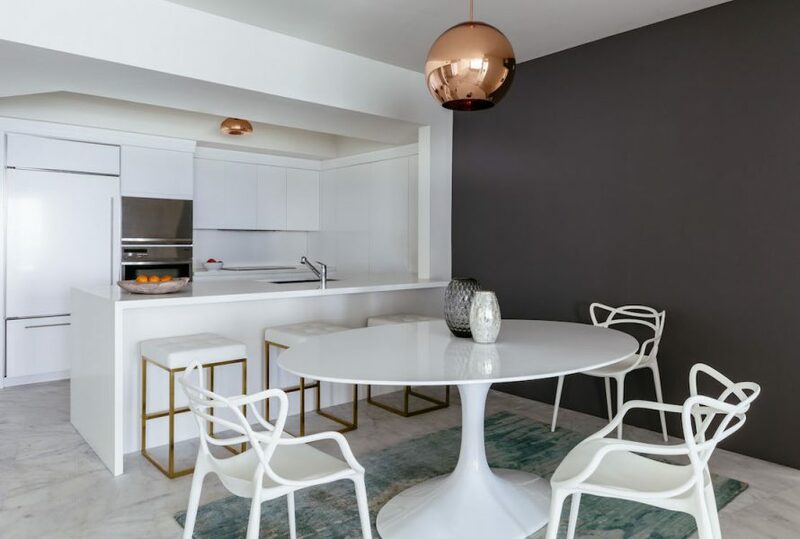 Otherwise, the Eames chair is a good chair to pair with the tulip table if you want some variation because they come in many different colors, yet the minimalistic design and dusty, muted color palette of the chairs create cohesion. 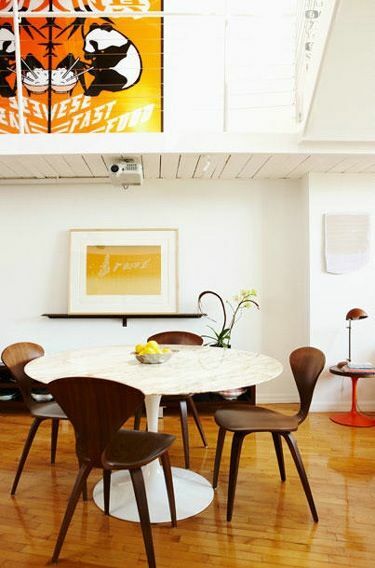 The tulip table above is the Saarinen Round Dining Table by DWR. Because the tulip table is perfect for tight corners of your kitchen, it’s a great option for a table in an eat-in kitchen. 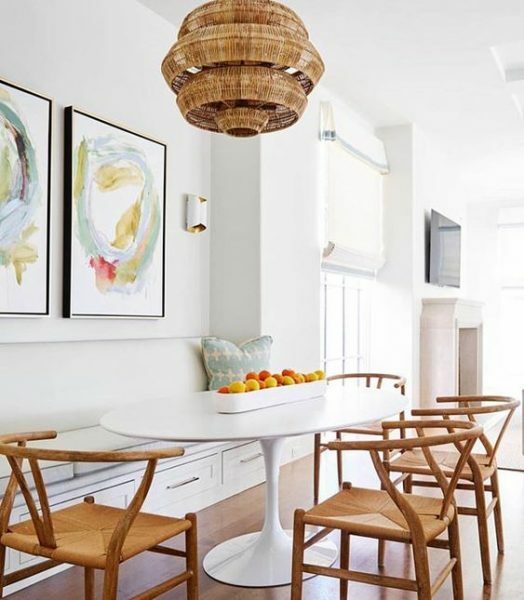 Its round shape provides a nice contrast against the straight, linear lines of everything else in your kitchen, like a banquette bench. 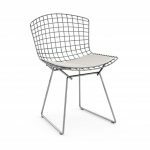 The Bertoia chair features a seat pad/backing and a geometric pattern. 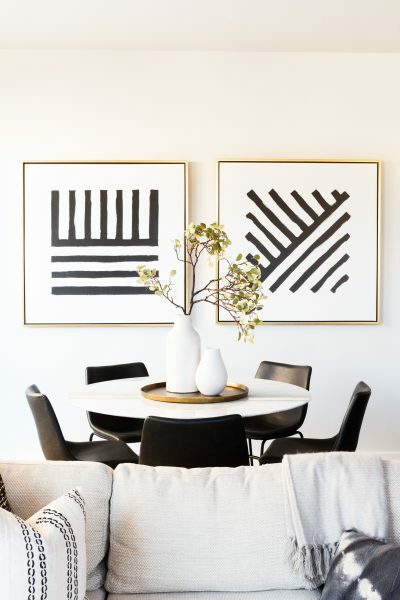 When paired with a tulip table, the result is something beautifully modern and edgy. 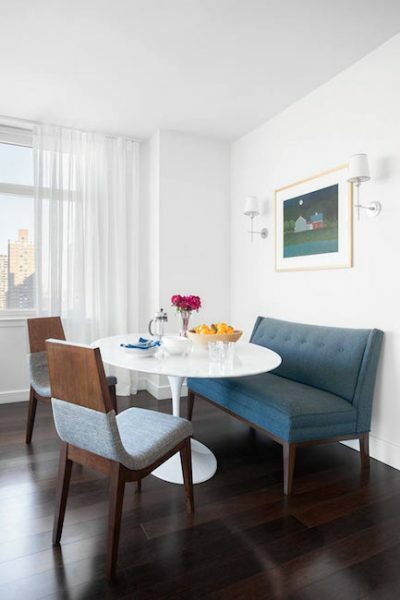 This is a great pairing because the simplicity of the tulip table plays well with the bolder design of the chairs. 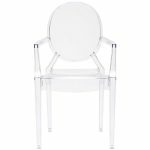 Featuring a transparent body, the ghost chair speaks to its name. 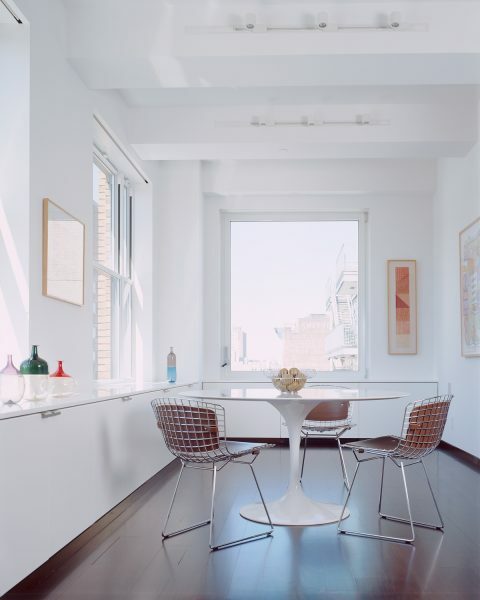 Its transparent body echoes the sleek, simple, minimal design of the tulip table (and doesn’t obstruct the view). 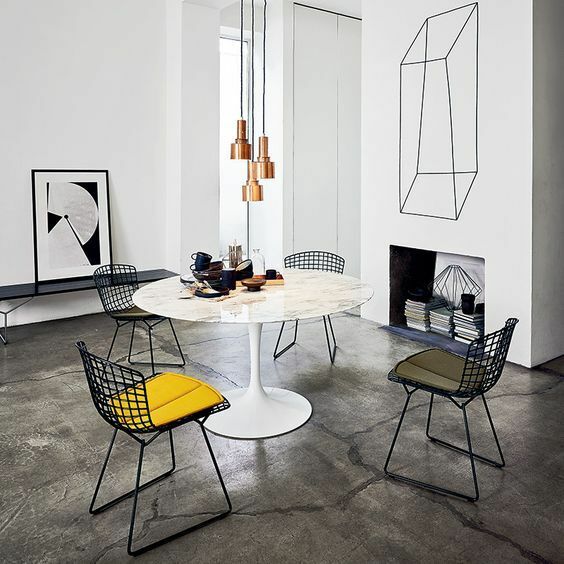 The tulip table and the ghost chair occupy little physical and visual weight, great in smaller spaces. 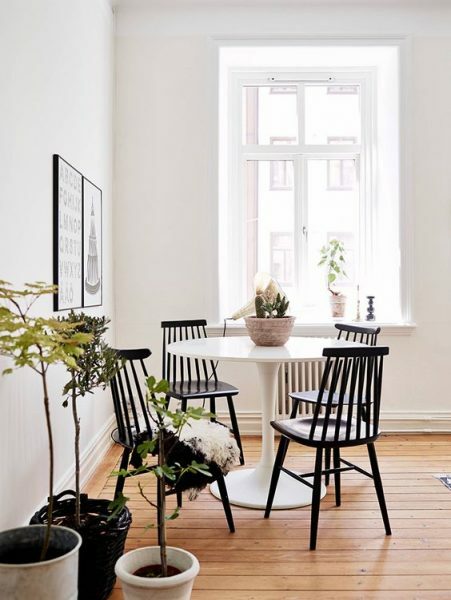 Opt for a ghost chair if you want a balanced, clean, open, and light and airy space. 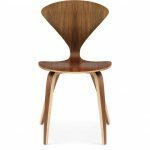 The Cherner chair is an icon of midcentury-modern design. 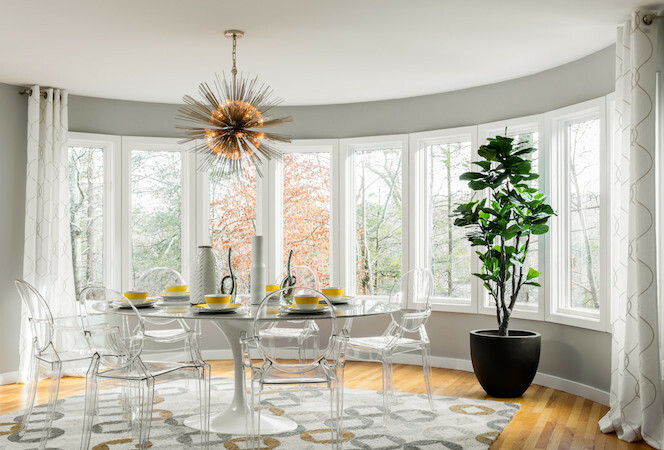 Like the tulip table, it has a classic, sculptural, and streamlined design. 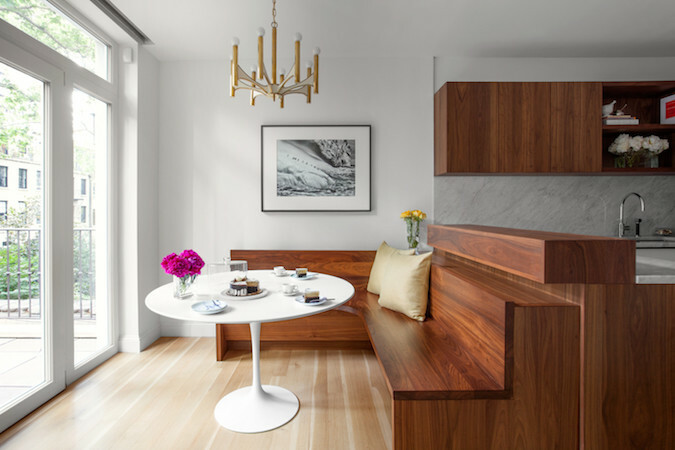 The Cherner chair goes great with the tulip table because the warm wood contrasts nicely against the crisp white. 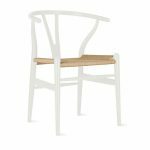 The Emeco Navy Chair is the quintessential kitchen chair. 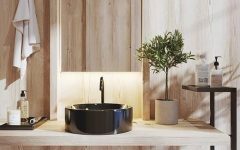 It has a simple, classic design that boasts universality. For this very reason, it is the perfect chair to go with the tulip table. 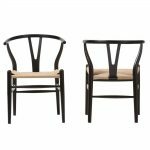 The simplicity of both pieces creates a harmonious effect, yet the linear lines of the chair contrast nicely with the curves of the table. 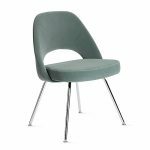 The Cordelia chair is a modern take on a traditional silhouette that employs contemporary colors. 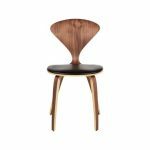 The curvy back complements the curves in the tulip table, and the simple legs complement the simple base of the tulip table. The upholstery also helps to ground the hard material of the tulip table. 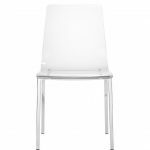 The Cordelia chair is elegant, sophisticated, and comfortable. 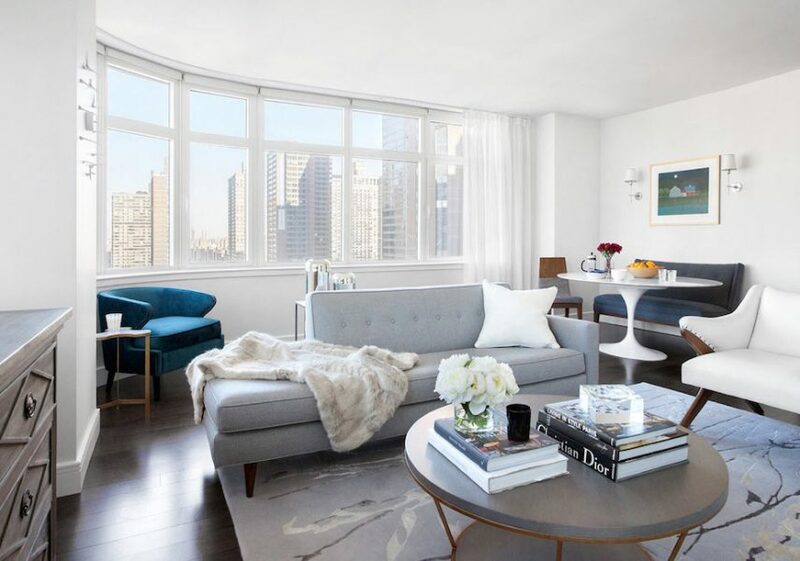 What do you think of tulip tables? Love em or hate em? Comment below!